A.K.D Dharma Raja Women's College, Rajapalayam has advertised in THE HINDU newspaper for recruitment of Assistant Professor jobs vacancies. Interested and eligible job aspirants are requested to apply on or before 08.06.2018.Check out further more details below. About College:Smt. A.K.D. Sakkaniamma college of Education for women, Rajapalayam is situated in the bustling business district of Virudhunagar, Tamilnadu - IndiaThe institution has dedicated itself to the service of society by educating teachers and preparing professional educators for all levels. 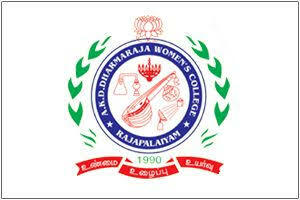 The college is affiliated to The TamilNadu Teachers Education University. 1. Preference will be given to Master degree NET/SET/Ph.D also apply fresh and experienced candidates. How to apply: Interested candidates apply to the correspondent on or before 08.06.2018 along with photocopies the certificates.